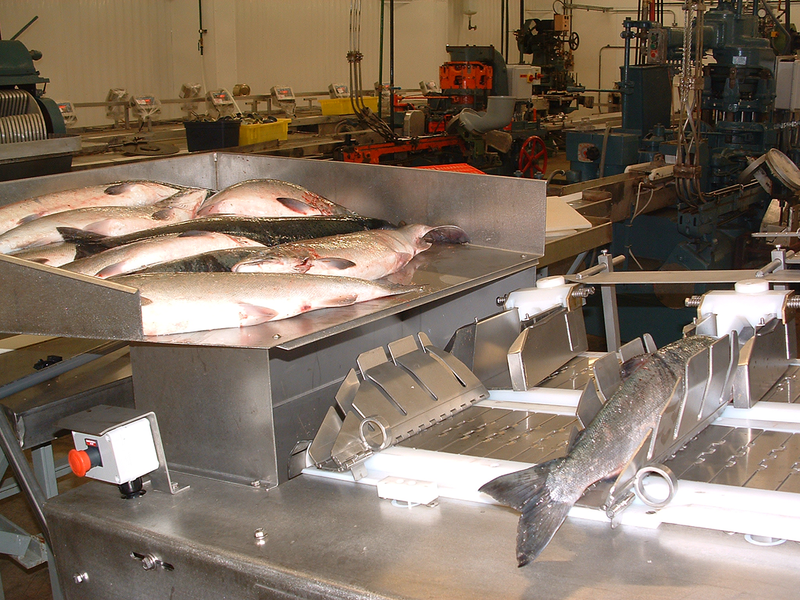 Incorporating automatic positioning of each individual fish to ensure the heads cut is in the optimum position for maximum yield. Straight head cut with adjustable angle for fish in the size range 4 ozs (100 grams) to 16 ozs (450grams) depending on species. A stand alone head cutting unit for fish in the size range 85 grams to 450 grams. 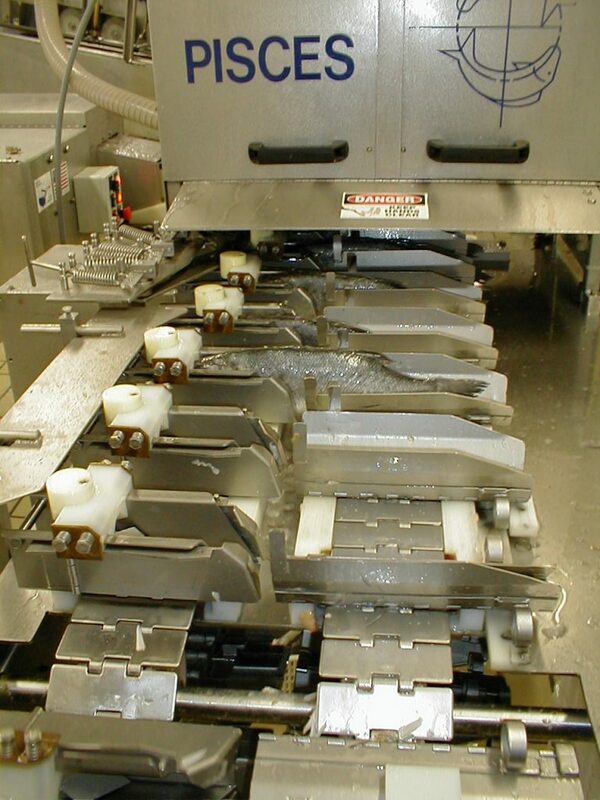 Each fish is individually located to ensure optimum position irrespective of size. 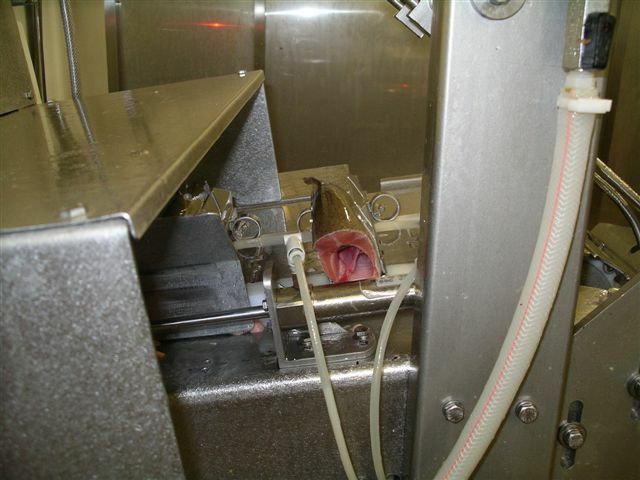 A single circular blade angled to produce the optimal yield is used to remove the head. Often used to prepare fish for the FR 150 filleting. Can be supplied with vacuum evisceration for enhanced Hygienic operation and is an integral component of the AHF 110 single operator system. Straight head cut with adjustable angle for fish in the size range 12 ozs (350 grams) to 6 lbs (2.7 Kg) depending on species. 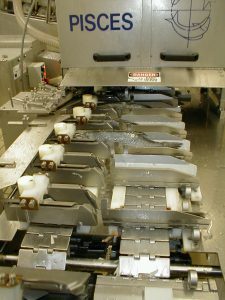 Vee cut to capture meat above the gill plate for fish in the size range 12 ozs (350 grams) to 6 Lbs (2.7kgs) depending on species. 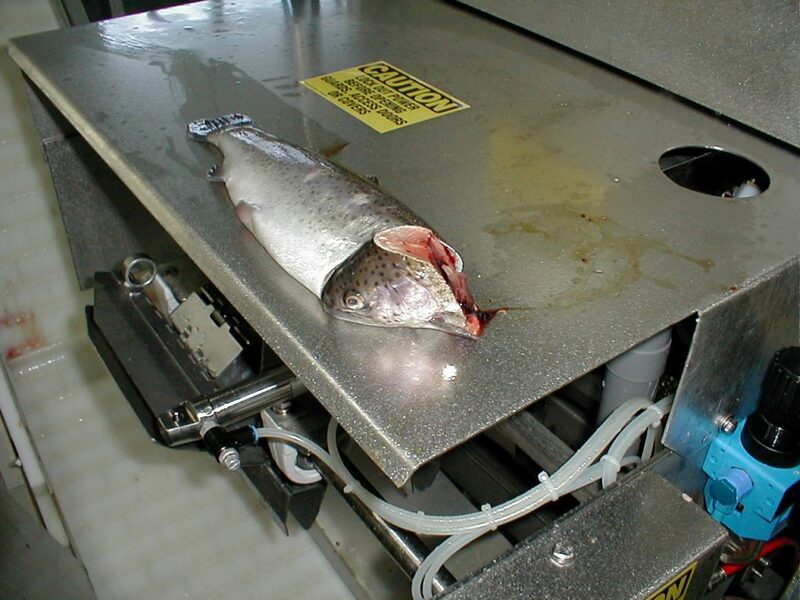 Vee cut to capture meat above the gill plate for fish in the size range 3 Lbs (1.5 Kg) to 10 lbs (5Kgs) depending on species.